With the events in Japan developing in the most alarming way, we really have to look for all possible ways to keep ourselves as free as we possibly can from the effects of the radioactive fallout which has already been spread around the globe, having reached the United States, Canada and Europe. Unfortunately, as much as we would want it to happen, it is not going away, and we are going to live with the consequences of this new disaster for many decades, with parts of Japan most probably been made uninhabitable for hundreds of years to come. Being a level-headed person by nature, I am not the one who likes to spread panic. Like everyone else, I would very much like to wake up one morning and realise that it is all just a nightmare, and all is well, and people are happy and healthy. However, my wish is not to come true this time… With my family living just 900 miles away from Japan, I worry about their safety day and night. I have asked them to stock up on stable iodine and start taking it before it is too late. I would suggest it to everyone – make sure that you have sources of iodine in your home, like kelp or organic dried seaweed, and start taking them on a regular basis. Make sure that you do not suffer from hyperactive thyroid which would mean that your iodine levels are too high. Dr Mark Sircus highly recommends nascent iodine, so stock up on the product. I would also suggest that we all support our immune system with live sources of vitamins and minerals – such as chlorella and spirulina. These superfoods bind free radicals in the body and provide us with the full range of vitamins and minerals that nature can offer. Magnesium supports all the body systems and detoxification processes. It provides the body with the energy it needs to ensure the elimination of toxins. 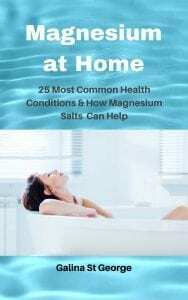 The best way to supplement magnesium in the home environment is through the skin. Magnesium chloride is the most easily absorbed form of magnesium. So I can suggest using magnesium massage, magnesium spray, magnesium bath, foot bath, magnesium wrap, and any form of magnesium application you can think of. 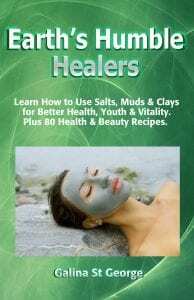 Powdered zeolite and clay are invaluable substances providing detoxification both through the skin, and when taken orally. However, since the EU regulations have not yet progressed to accept clays and zeolite clinoptilolite as safe for human consumption, I cannot give direct recommendations regarding its intake. I can only say that I drink clay and zeolite myself – 1 heaped tsp, twice a day, about 1 hour before meals. Both clays and zeolite are so irreplaceable in detoxification processes because they are highly sorbent, as well as chemically active. The chemical activity is due to freely available cations within their structures which when clays and zeolite are hydrated can exchange these cations for heavy metals. This property has been known for decades but has not been utilised on the human scale properly yet. Well, not in Europe anyway. 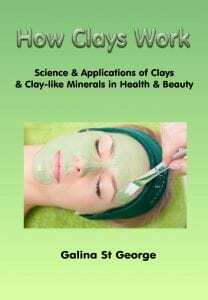 Zeolites and clays have proved their wonderful anti-radioactive properties many times over. They are used by the military (including the British forces which are at risk of radioactive contamination). They are stocked near most nuclear sites and plants. If it was not for clays and zeolite, the Chernobyl disaster would have had much more devastating effects. Thousands of tonnes of clays and zeolite were used to cover up the site and the reactor. People were given zeolite-based galettes to help decontaminate them from the heavy metals. The problem is – they were given too late when many people had already received a lethal dose of radiation. However, they can certainly help those of us who are exposed to moderate doses of radiation. Clays trap heavy metals between their platelets, thanks to a slight negative charge which is created between the platelets when clays are hydrated. The negative charge attracts positively charged ions of heavy metals. However, the holding power of clays is weaker than that of zeolite, since the platelets are freely movable, and the particles between the clays can still escape given the right conditions. Zeolites have a stronger ‘holding power’. This is due to their cage-like structure which is interspersed with multiple channels of a very small diameter. Inside those channels zeolite (I am talking about clinoptilolite here since there are many other types of zeolite which are not suitable for living organisms) has freely available cations of sodium, potassium, magnesium, phosphorus, calcium, etc – the cations which are normally required by the body in large quantities. These ‘safe’ cations are exchanged for heavy metals in the process of cation exchange. Apart from detoxification, the process of cation exchange also provides minerals which the body requires for everyday functioning. A lot more can be said about zeolite and how it works, and I will be writing about it in my book. In the meantime, please feel free to ask questions. 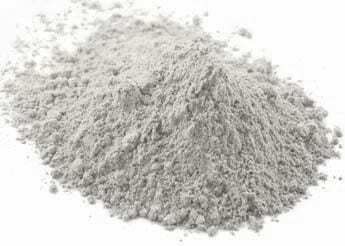 I have been asked about liquid zeolite and whether it is as effective as powdered zeolite. I cannot answer this question since I have no first-hand evidence whether liquid zeolite works, but in my opinion, since zeolite works thanks to its cage-like structure and cation exchange mechanism, I am not quite sure how the structure cannot be broken during its liquidation. Having read all the information in this respect, I am still to be convinced on the subject. However, these are my own doubts, and if liquid zeolite helps you, then good luck with it.